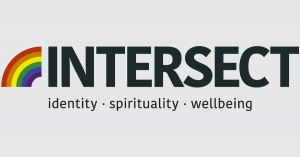 LGBTIQ Intersect is a free online resource created to support the visibility, safety, mental health and wellbeing, social inclusion and sense of belonging amongst LGBTIQ people from multicultural, spiritual and faith based communities. The eresource has been developed through a co-design and co-production approach led by Victorian Transcultural Mental Health (VTMH) as part of a partnership project with GLHV@ARCSHS, La Trobe University (GLHV) and has been funded through a Harmony Grant from the Office of Multicultural Affairs and Social Cohesion. This new resource, for community members and practitioners, highlights stories of lived experience as it explores key concepts, offers learning modules and provides links to resources and practice guides. It has been designed to assist individuals and organisations to recognise and respond to experiences of intersecting discrimination, as we work together to build our collective capacity for cultural safety; contributing to a more harmonious and inclusive Victoria. With Victorian Transcultural Mental Health.